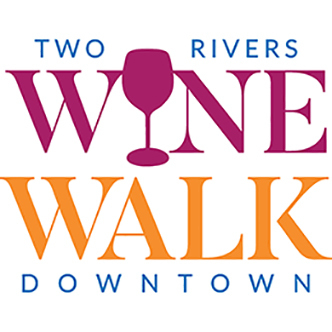 Friday, May 17th is the date for the 2019 Two Rivers Spring Wine...and Beer Walk! Every location will have one Wisconsin wine and one Wisconsin beer available to sample. Purchase either a beer or a wine ticket, whichever you prefer. You will receive up to 24 samples of whatever you choose to sample, as well as a souvenir glass. Tickets are on sale now. Only $25 if purchased before April 17th. After April 17th, ticket price will increase to $30. There will be food to sample, prizes to win, and new businesses to visit. Join us in downtown Two Rivers for this great event! Your printed receipt must be brought to Central Park to receive your wristband, gift bag, and souvenir glass at check-in. Be prepared to provide proof of age. No refunds will be given if you do not provide proof of age. This ticket is for people sampling wine at the Spring Wine & Beer Walk. Purchase of this ticket before April 17th guarantees the purchaser a souvenir wine glass. This ticket is for people sampling beer at the Spring Wine & Beer Walk. Purchase of this ticket before April 17th guarantees the purchaser a souvenir wine glass.